What makes me tick? Sunshine, Thunder Storms, Guacamole, Anything Quirky, Books, Amazing Music, People, Learning, Laughter and this Messy Wonderful thing called Life! We will work together towards your goals. Expect to achieve more balance, resiliency, confidence & fulfillment. I hear you. Being a teen can be tough. You can be yourself exactly the way you are and be accepted. I've got some ideas. Let's figure this out. Parenting is one of the toughest jobs on the planet! Clarity provides support and guidance customized to your needs. Be in a safe and non-judgmental place to get help with your parenting concerns and questions. We are designed to connect with others! To share, learn & discover insight into dealing with our life struggles. I look forward to talking with you. My experience working with Janet has been incredibly rewarding. 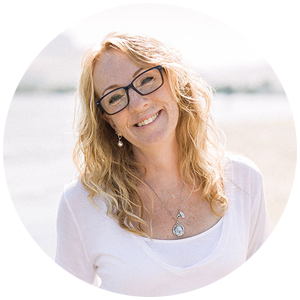 Janet treated our session with respect and understanding by creating a non-judgmental environment, and helped to make sense of what seemed like chaos. We were able to build a trusting relationship with ease and she provided me with the tools to work on the precise problem I was having. As an added bonus, it helped that Janet has a light hearted and appropriate sense of humor. Janet was extremely easy to open up to, and showed a great level of empathy during our session together. She made me feel like my problem was her only concern in the world, and I felt that she truly cared about what I had to say. She approached the subject gently, allowing me to direct where the conversation would go, yet still interjected appropriate questions along the way. I am grateful to have had someone like her to discuss my problem with, as I have never really spoken about the subject with anyone else. She made me feel comfortable, and showed a level of professionalism that I truly appreciate. Janet’s loving heart, perspective and insight is encouraging, inspiring and thought provoking on a deep, life changing – life moving level. She is a supportive, non-judgmental listener, encourager and, I believe, wholeheartedly wants everything good in her client’s lives. 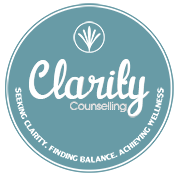 Welcome to Clarity Counselling, my name is Janet Holyk, and I am a Registered Therapeutic Counselor in Smithers, BC. Sometimes life presents us with difficulties that are tough to manage or resolve on our own. Sometimes we need to ask for help in order to find Clarity to move forward. One of the most important and beautiful qualities of life is to be understood. We are by nature, complicated beings with a lifetime of stories and experiences. Perhaps today is the day that you decide to take that first brave step towards discovering the stronger you. I provide in-person counselling in Smithers as well as Skype and Telephone Counselling throughout BC. As a RTC, Registered Therapeutic Counsellor (#2080), I belong to a provincial association (ACCT) – Association of Cooperative Counselling Therapists of Canada, a nation-wide governing body which regulates professional counsellors and therapists. * Counselling fees for a Registered Therapeutic Counsellor (RTC) are approved by Pacific Blue Cross, Green Shield Canada, Equitable Life of Canada, ClaimSecure, SunLife and Manulife. Additional Extended Benefits may qualify for reimbursement with your Extended Health Benefits Plans or HSA.